Can't decide on just one option? 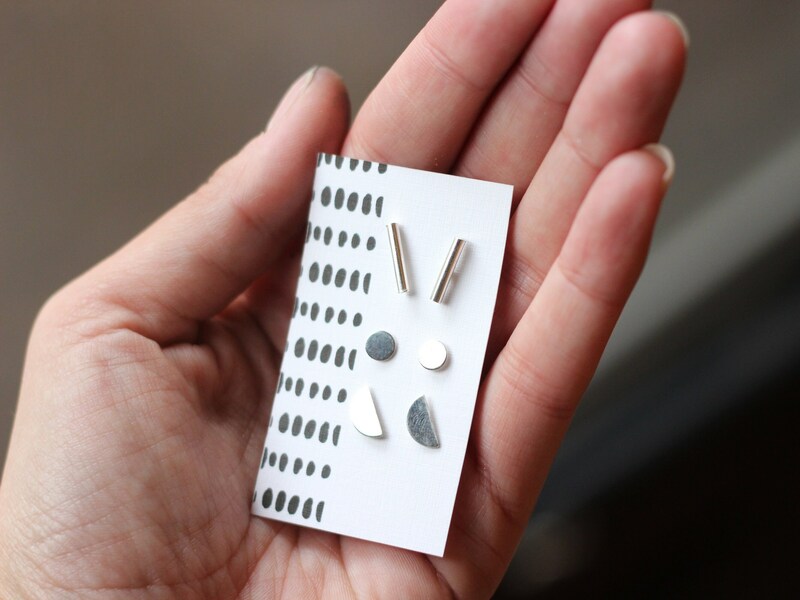 This cute little earring pack is perfect for gift giving! Your choice from the options below. A- Dotted Bar Studs. Approximately 10mm. Sterling Silver. B- Polka Dot Studs: 5 mm in diameter. Sterling Silver. 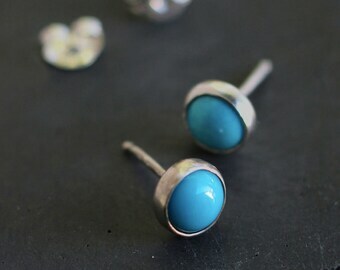 C- Small Circle Dish Studs. Approximately 5mm in diameter. Sterling Silver. D- Quatrefoil Studs- Approximately 5mm in diameter. Sterling Silver. E- Half Moon Studs: Approximately 8x4mm. Sterling Silver. F- Organic Circle Studs- Approximately 8mm in diameter. Sterling Silver. G- Moonstone Studs- Approximately 6mm in diameter. Sterling silver & Moonstone. 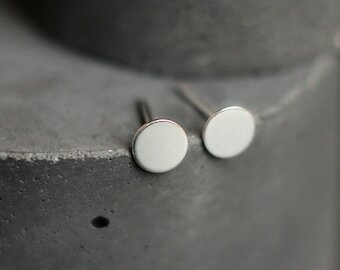 H- Dotted Circle Studs: 10 mm in diameter. Sterling Silver. I- Mini Moon Studs: Approximately 10mm. Oxidized Sterling Silver. J- Tiny Ball Studs: 2mm in diameter. Sterling Silver. K- Carnelian Studs: 6mm in diameter. Carnelian & Sterling Silver. L- Onyx Studs. 6mm in diameter. Onyx & Sterling Silver. M- Bar Studs: Approximately 8x2mm. Sterling Silver. N- Mini Heart Studs. 5x7mm. Sterling Silver. O- Flower Studs: 11mm in diameter. Sterling Silver. P- Triangle Studs: Approximately 6mm in diameter. Sterling Silver. Earrings packed on one earring card and packaged in one jewelry box.